Theresa May’s opinion on fox hunting is recently a very popular subject which as terrible as it is, I’m glad media brings this to people’s attention. For those uninformed, Theresa May admitted that she fully supports and always has been supporting fox hunting as a sport (Very ladylike). Her justification for this decision is that other methods of controlling the fox population are cruel… Let’s reword. She supports fox hunting because it’s not cruel? Because ripping an animal apart alive is a tickle? Right. You might agree and think it is a a form of fox population control but in many cases it is purely entertainment for the bourgeoisie. Foxes are often captured and locked in pseudo earth domes or camouflaged buildings after which they are released in front of the hounds to be caught and ripped into shreds. When the scent of a fox goes beneath the ground, the dogs start digging until they reach and kill the poor prey. How subtle of the first class snobs. Today – in may 2017 – Wildlife hunting with dogs has been banned in the UK since 2004 although it’s modified forms are still in practice and hunts take place “within the law”. The practice originated in 1600’s when foxes were a threat to livestock meaning they had to be eliminated. This elimination technique then turned into a cruel sport. Since then a lot has changed in the UK as well as the behavior and the size of natural habitat of foxes. Many other animals fall victims of fox hunting, depending on the country and region of the hunt. Under British influence, India and Iran hunt for golden jackals who are very pack protective and can be faster than dogs. US for instance tends to hunt for coyotes, bobcats and grey foxes. Red foxes tend to be chased rather than hunted ad they aren’t considered as pests there. Countries such as Australia, France, Italy or Ireland don’t stray from such entertainment. Although dogs are the attackers in this case, they can suffer from injuries too. Some animals such as jackals – as previously mentioned – are very protective of their pack members and can severely injure dogs that attack them. As harmful as 10 dogs can be to one red fox, as harmful a few jackals can be to several dogs. Some might say that the dogs used for fox hunting are specifically bred for this kind of job – to scent and kill a fox. Either way the dogs are put incompletely unnecessary danger. People make these animals fight each other for no logical reason. Alongside the corridas, bull and dog fights this is one of the most ridiculous “sports” I have ever heard of. Investigators of the League Against Cruel Sports have been brutally attacked when monitoring the hunts over a period of a few months. They have been attacked by the hunters, not the animals to be clear. One of them was left with a broken neck. It is believed that this happened as a revenge for the release of fox cubs found locked several months earlier. What if I told you that the population of foxes does not need to be reduced at all? Annual average numbers stayed consistent over the last 10 years, since the hunting ban. Foxes are a very misunderstood animal. Rural and Urban foxes are treated differently because their presence has different effects on people. In rural areas they tend to steal small livestock from farms whereas urban foxes create mess by tearing up rubbish bags. Some people believe that urban foxes catch domestic cats and dogs but experts say that its a very rare occurrence and doesn’t take place in cities. We have to remember that all of these problems can be solved by repelling foxes away rather than culling. Due the nature of a fox, once one dies, its territory is taken over by another fox in only a few days. This means that killing foxes doesn’t actually solve issues related to their presence. We kill almost 350 000 foxes a year in total. Between 50 – 100 000 of foxes die in road collisions annually. The remaining foxes are killed by hunters, snares and shooters. Let’s not forget that foxes do us favors too. They keep the pests such as rats and mice away which is the main reason why they were introduced in British cities in the first place. We have let foxes be the way they are. I’ve read so many posts and responses from people supporting this “sport” and I can’t comprehend the stupidity and hypocrisy of such men. Daring to say they do the country a favor when all they truly care about is their thrill and adrenaline. Stating how close they have become with nature but didn’t consider leaving it the heck alone. Letting animals live where they should be. Animals living in the woods and forests certainly don’t affect humans enough to allow us to enter their home and kill them. The best thing we can do for nature is leave it alone. Fox hunting should not under any circumstances be brought back to law. In fact, there should be no sub forms of fox hunting allowed at all and punishments should be more strict. The key thing you can do is to show disapproval whenever needed. 80% of British public support the ban. You just have to make your voice heard to make the impact bigger and greater. Signing a petition takes less than a minute and can mean a lot to animals. Here are 2 you can sign. 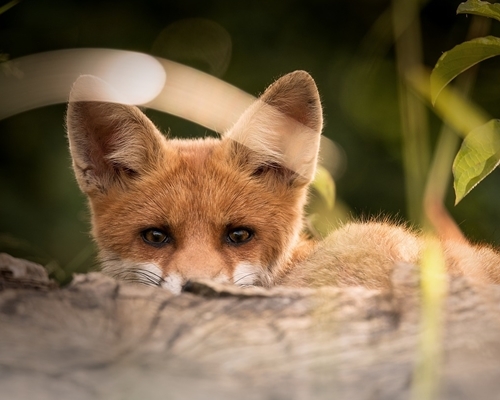 Write to your MP to urge their party to strengthen the hunting ban. View my post on aniamal cruelty to find out how to report animal abuse. Whilst expressing your political position, do not forget about the animals. They need our support. Don’t let the douches in red attire use animals for ignorant and horrific hobbies.